The total online spend of Filipino shoppers is predicted to increase by 32 percent from an estimated PHP 92.5billion in 2017 to PHP 121.9 billion in 2018. PayPal and Ipsos released the PayPal Cross-Border Consumer Research 2018 for Philippines, a report which investigates the online shopping habits of approximately 34,000 consumers in 31 countries, including 1,006 participants in the Philippines. It reveals a healthy e-marketplace with over half of Filipinos looking to increase their online spending in 2018. Coupled with the optimistic e-commerce outlook in the Asia Pacific region, the report presents new opportunities for Filipino merchants to expand their international sales. In line with 55 percent of Filipinos expecting to increase their online spend, the total online spend of Filipino shoppers is predicted to increase by 32 percent from an estimated PHP 92.5billion in 2017 to PHP 121.9 billion in 2018. Cross border, which refers to international trade, spend in the Philippines is also expected to grow by 32 percent in 2018 from an estimated PHP 41.5 billion spent in 2017. 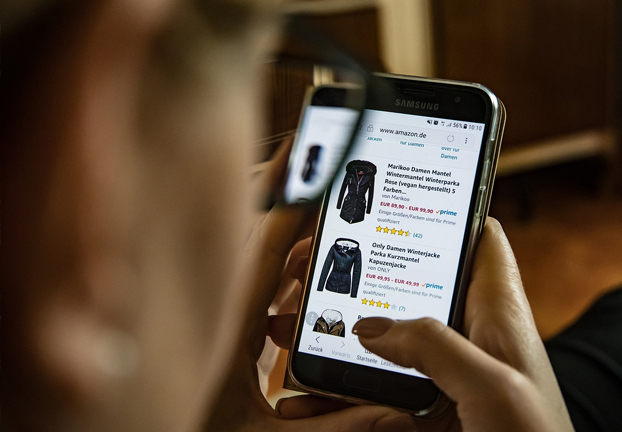 The key motivating factor for the rise in online spending expectations is convenience (82 percent). The breadth of online platforms (52 percent), and expectations of a faster shipping process (45 percent) round up the top three reasons for Filipinos believing they will spend more online in 2018. The Philippines has also emerged third out of Asia Pacific countries surveyed, behind China and India, when it comes to the proportion of cross-border purchases on a smartphone. Considering the increase in number of smartphone users in the Philippines, PayPal predicts an increase in Philippines’ mobile commerce from an estimated PHP 38.4 billion in 2017 to an estimated PHP 55.7 billion in 2018. This figure is likely to continue to grow with the proliferation of mobile devices and new mobile technologies that are emerging to create greater mobile-commerce opportunities for Filipino consumers and merchants. Fashion such as clothing, footwear and accessories, has surfaced as the top category for cross-border shopping in the Philippines, with 68 percent of Filipino cross-border online shoppers having spent on these items in the past 12 months. Consumer electronics such as computers, phones, tablets and peripherals as well as cosmetics and beauty products are the next most shopped categories amongst cross-border shoppers with 57 and 56 percent respectively. While Filipinos are forecasted to be spending more online in 2018, there is also mindfulness in what they are buying. Survey results showed that Filipinos are turning their attention to spending on things they need in their day-to-day life, with online spending on necessities predicted to increase in 2018. The top three forecasted growth categories in 2018 are groceries and household goods (26 percent); baby/children supplies (24 percent), and leisure, hobby & outdoor equipment (23 percent). Despite the popularity of international online shopping among Filipino consumers, challenges to cross-border shopping exist. Shipping costs are the top barrier preventing shoppers from buying cross-border more often, cited by 33 percent of Filipino cross-border shoppers interviewed. Other key factors include having to pay customs duties or taxes (selected by 31 percent) and the difficult process for returning products (28 percent). Merchants would need to address these concerns proactively to entice them to complete purchases. To address buyer concerns, PayPal endeavors to bring a sense of security to online shoppers with Refunded Returns (terms and limitations apply). In addition to Refunded Returns, PayPal offers Buyer Protection for eligible transactions to help provide a greater peace of mind for online shoppers. The policy can also cover eligible intangible items including e-travel tickets, digital music, digital books, digital games and software downloads. Merchants can be protected against eligible fraudulent transactions with Seller Protection. On behalf of PayPal, Ipsos interviewed a representative quota sample of 1006 adults (aged 18+) who use an internet enabled device across the Philippines. Interviews were conducted online between 16th and 27th April 2018. Data was weighted to adjust for panel bias based on external trend data on incidence of online shoppers in the country.